Dry Sandford Primary School is extremely fortunate to receive considerable additional support from the Cothill Educational Trust. Polly Bennett is a learning support teacher. This means that we are able to design learning opportunities which enhance the curriculum for the children from year 1 upwards; she also supports us in our vision to provide for every child's specific educational needs. She is our liaison between the two schools and also runs our House System and takes many of our children out to events and competitions. 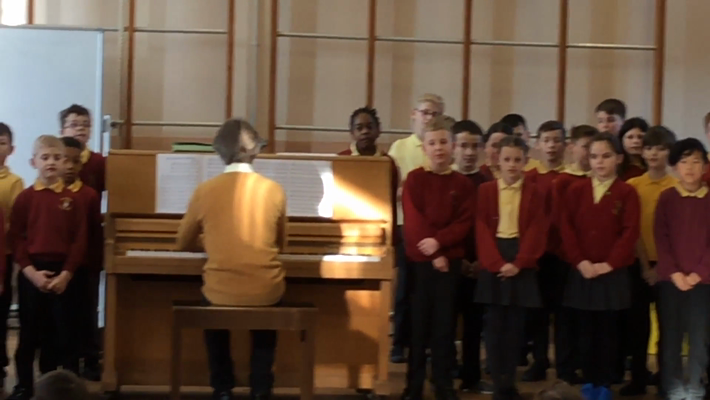 Graham Howell is a choir director who provides vocal direction to all of our key stage 2 children ensuring that the choir sings beautifully from a range of different musical genre. Alison Jones is a pottery expert who teaches all of our key stage 2 children in the purpose built pottery centre at Cothill School. Elizabeth Sutton is the French teacher who teaches year 5/6 on a weekly basis. Sports' coaches who teach a range of sports to KS2 groups. Cothill School allows us to use their mini-buses. This is an invaluable resource which allows us to take children on trips and visits with no transport costs to us or parents. Cothill School allows us to use their performance facilities and grounds for 'special' concerts and sports' events such as our biennial whole school Cross Country run.